Following the success of the ELIXIR Biohackathon2018, and building on the Biohackathons organised by National Bioscience Database Center (NBDC) and Database Center for Life Science (DBCLS), we are planning to run Biohackathon2019 again in Paris on 18th-22th Nov 2019. We hope to build on our success and encourage more ELIXIR and non-ELIXIR participants to take part and also have industry engagement. BioHackathon activities are driven by practical sessions where people gather, discuss, and implement ideas/projects during intensive and productive coding sessions. The topics will be aligned to challenges proposed by ELIXIR platforms (data, tools, compute, interoperability and training), ELIXIR communities (Human Data, Rare Diseases, Marine Metagenomics, Plant Science, Metabolomics and Proteomics), a selection of new tools and communities (e.g., Cytoscape and reproducible networks) proposed by ELIXIR France, and a set of common challenges proposed by the sister BioHackathon organised in Japan. Strengthen the interactions with ELIXIR Platforms and Communities to establish and reinforce collaborations through hands-on programming activities organised at the event. Registration for the BioHackathon is free and includes all meals and refreshments during the meeting when accommodation is booked at the venue. Participants are expected to cover their accommodation and travel unless invited by project leads of selected projects (see selected proposals). 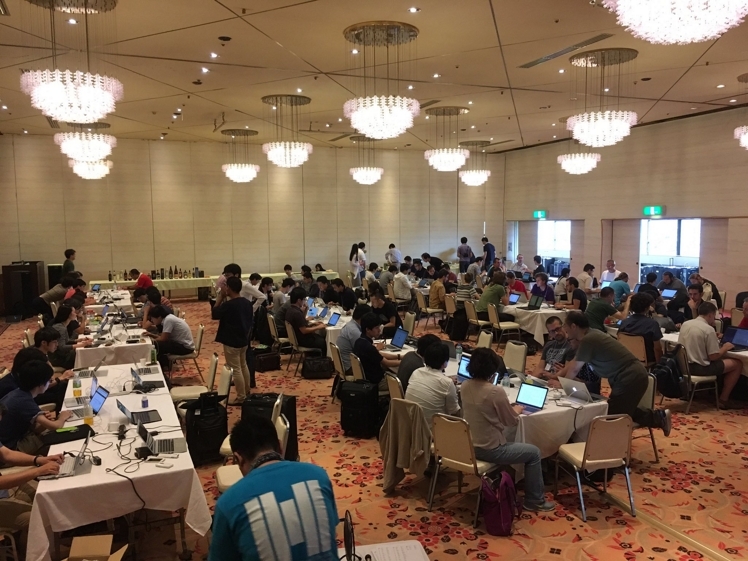 Staying at the venue is highly preferred, since it maximises networking with all participants and gets the most out of the hacking. In January, we asked for expression of interest for ELIXIR members to submit project titles so we could plan what potential areas participants were interested in. We now request that full submission are made following “Call for Proposal” directions. Selected hacking topics will be published here once reviewed by the Biohackathon Organising Committee. We are expecting topics to align well with the current interest of life science communities at large. These may include standardised workflows, containerisation, schemas and identifiers, ontology tooling, metadata validation, and training. We encourage submissions of hacking topics from the public and private sector. Companies interested in submitting hacking projects to our ‘Biohackathon 2019 Industry Track’ should contact Kathi Lauer (ELIXIR Industry Officer) for more information.